When we bought the cottage it was a two bed house. The upstairs layout was bizarre, so we had a complete re-jig. What is now Arthur’s bedroom was originally bigger, but we decided to split it and make an office. 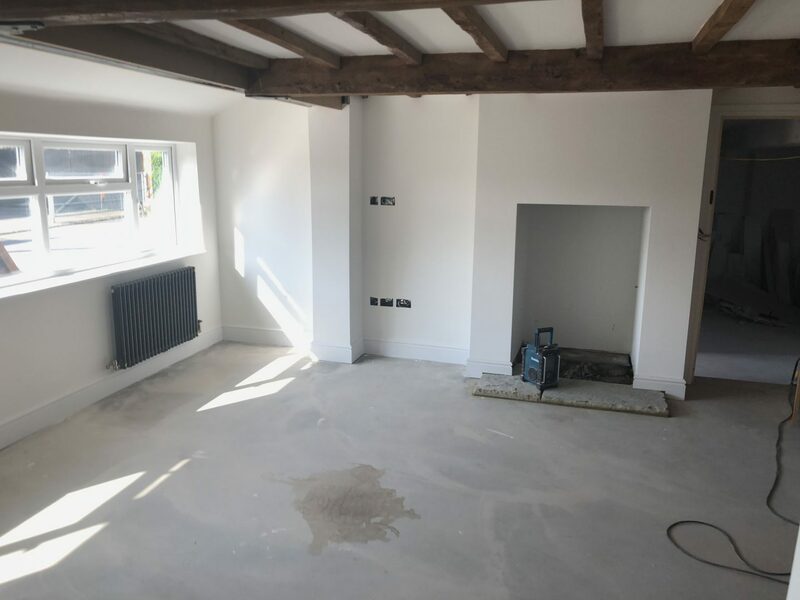 This would create the third bedroom, but we always planned to extend to make a further, much bigger fourth bedroom (if) our family grew. 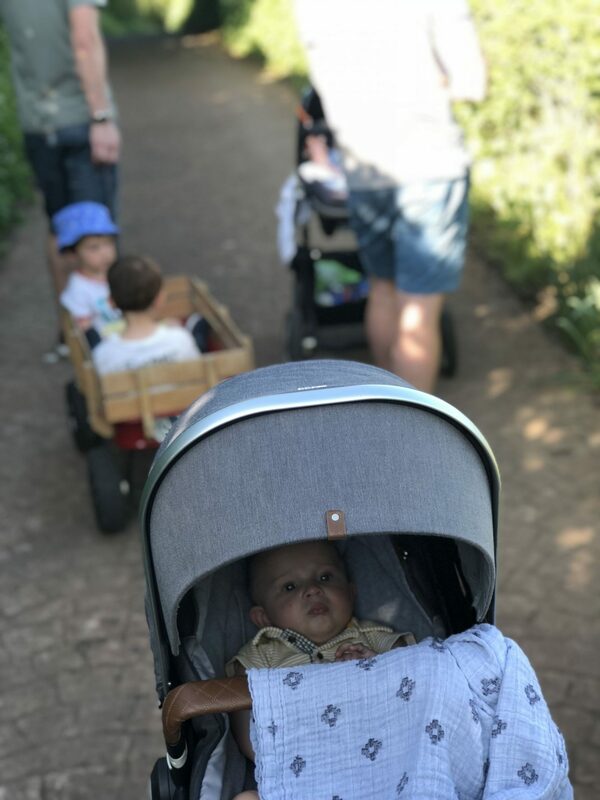 Little did we know at that point, that our family was going to grow a bit quicker than we thought, with our wonderful Wilfred. So the office has become a nursery. It’s more than big enough for a single bed, but I do wish it was a bit bigger. 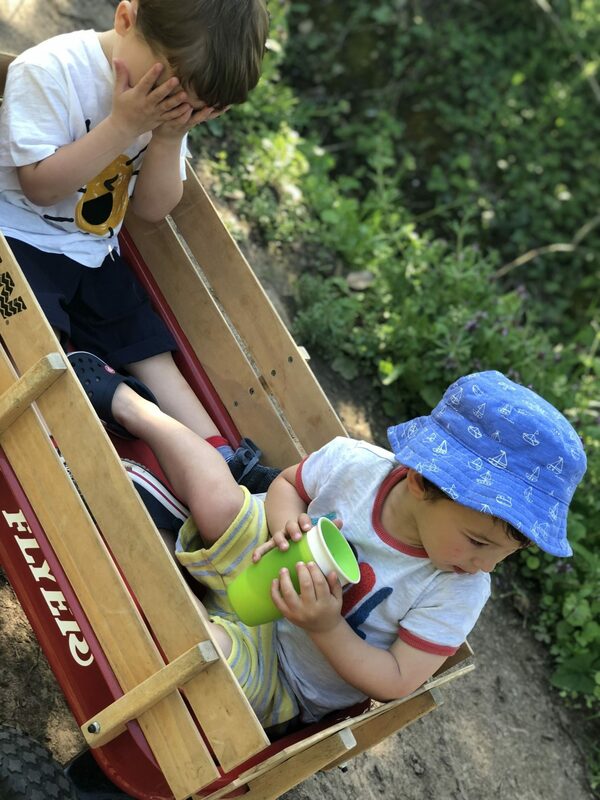 So it was a bit of a challenge to design Wilfs nursery ensuring it looks good, it’s functional and it can grow with him too. One thing I have spared is the wardrobe. I may well regret this, but, I didn’t want the room to feel too crammed. 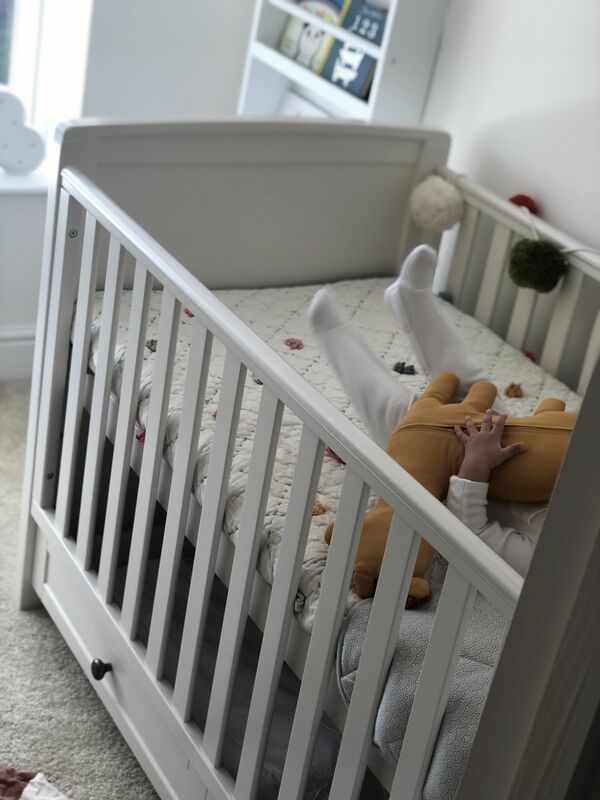 Furniture wise, the nursery is pretty minimal with a cot, a changing table, chest of drawers and some wall shelves. 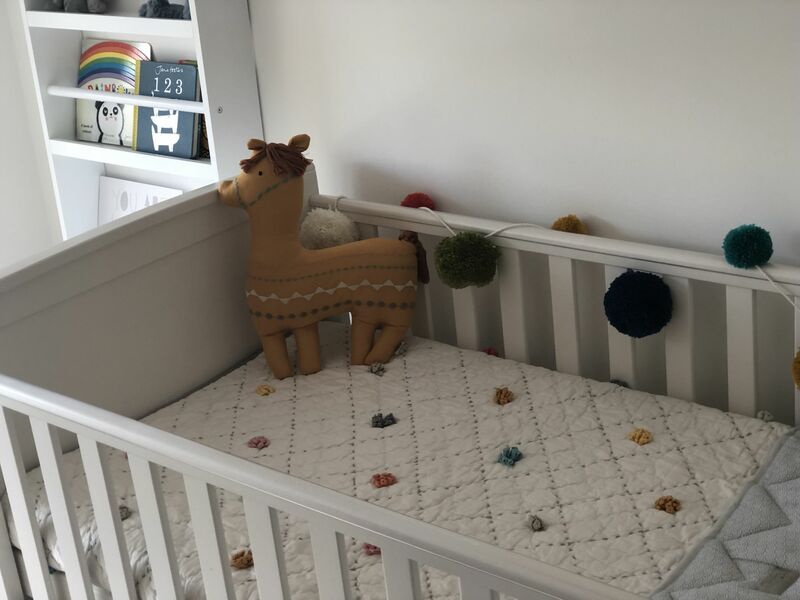 I think cots can take up a lot of the space, and we are using Arthurs old cot (which does have a large under drawer storage), but I have seen some very cool oval shaped cots which look great and I think would give a feeling of more space, but for now, Arthur’s old cot works. We haven’t moved in yet, so I expect the room will also evolve and I’ll add to it when we’re living in it. Clever storage will be key, and I’m going to look out for some baskets to store things like his dribble bibs. I seem to have a serious collection of dribble bibs for Wilf! In fact, I’m quite obsessed with them! I wanted Wilfs nursery to be pretty neutral with just a splash of colour. 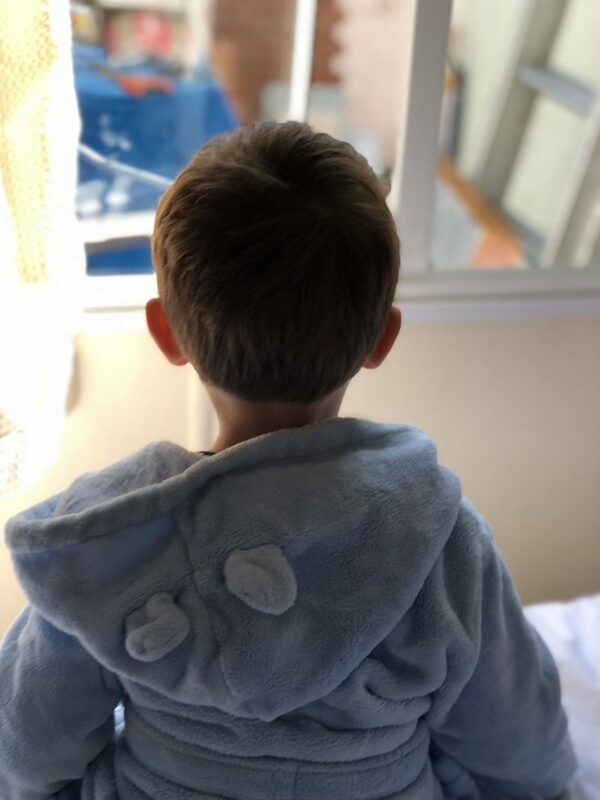 Mamas and Papas do colour really well, they have a few different ranges that you can mix and match, and that’s exactly what I did, as it gives you a bit of flexibility to add in your own personality. 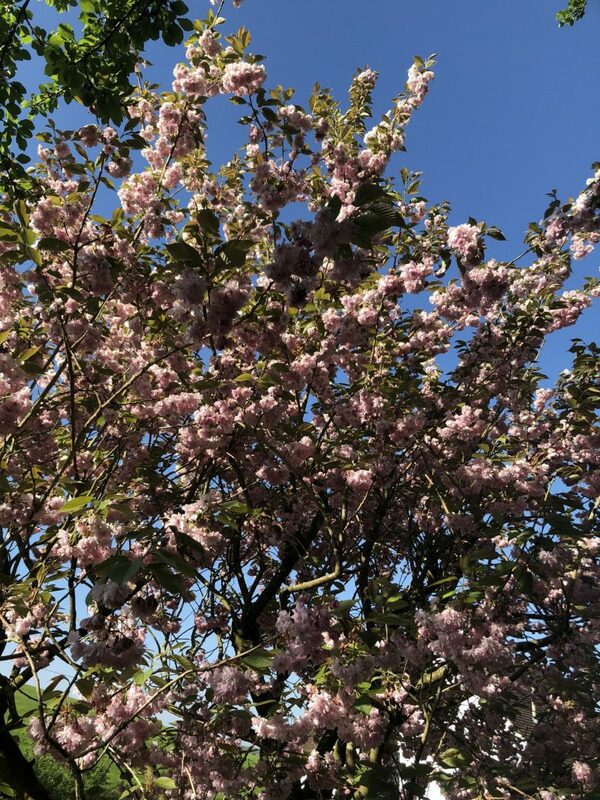 Their colours are bright, but subtle. 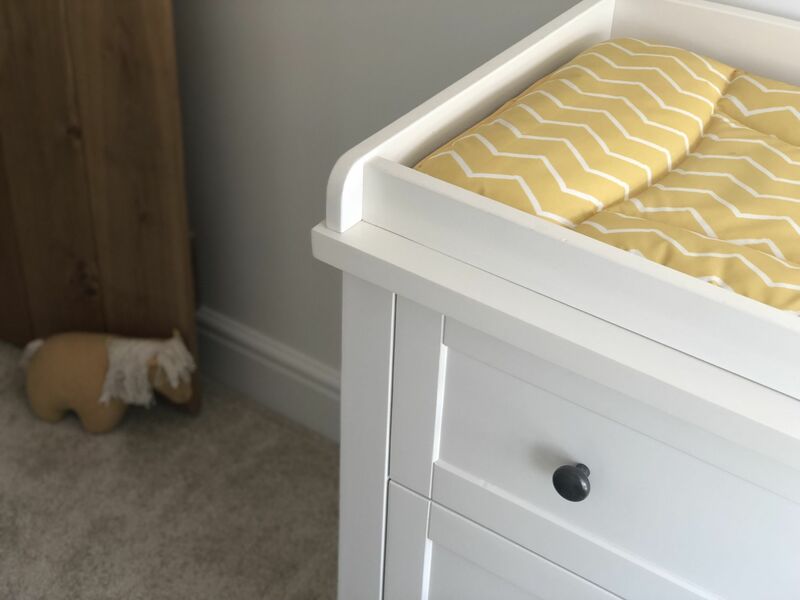 This changing mat is a great way to add a splash of colour and I really like mustard yellow, which works well with white, cream and grey. They don’t sell this mat anymore, but its available on Amazon. 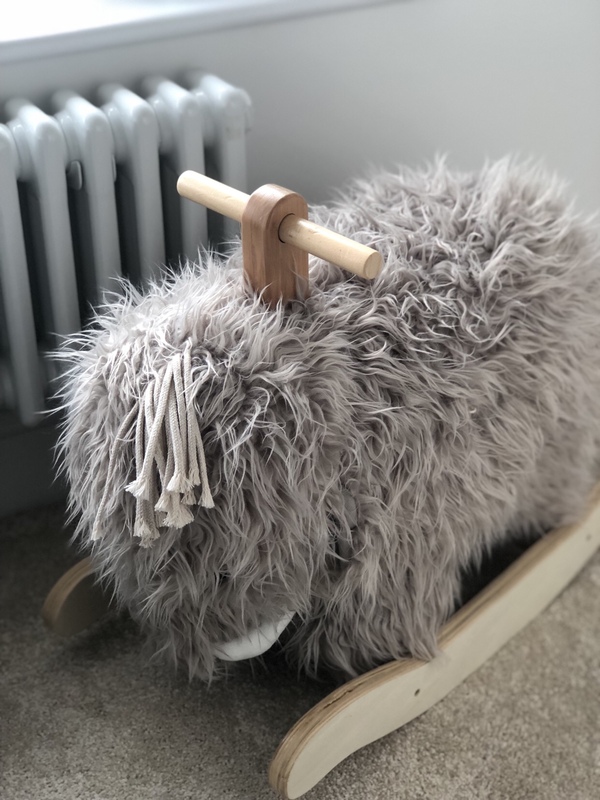 The felt horse door stop is Fiona Walker from Homesense. I had to try and get a horse in somewhere, plus I love a door stop. 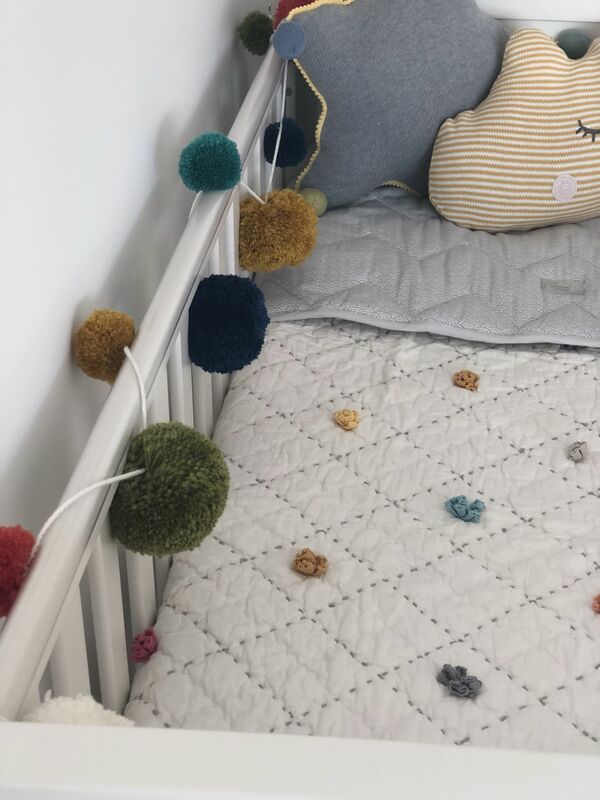 This Mamas and Papas Pom Pom Garland is a really clever way to add some personality and fun to the nursery. 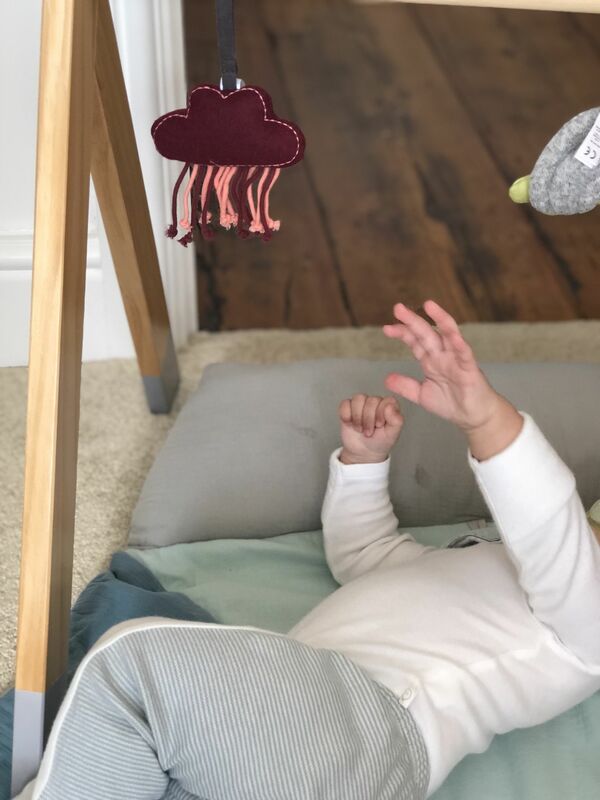 I wasn’t sure where to hang it though, and might try hanging it up on the wall at the top end of the cot, but it brightens up the cot weaved over the side. This Mamas and Papas coverlet also matched the garland, and it’s now in the sale! It’s really good quality, and has a plain grey underside. This will last Wilf for years, Arthur my eldest loves to snuggle on the sofa and loves his blankets. I didn’t ever think boys would be like this, and I hope it’s not just an age thing and he stay like this, snuggling his mummy on the sofa till he’s at least 18! 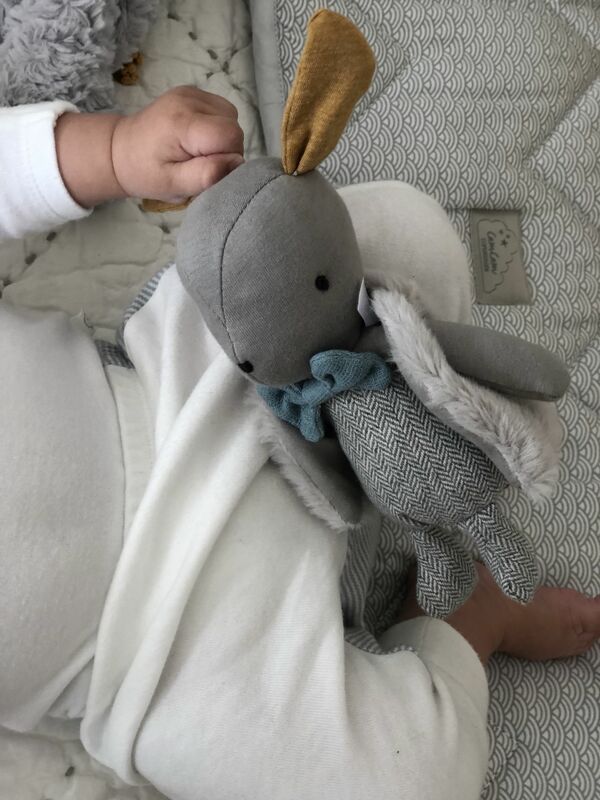 I also put it with this Cam Cam grey wave playmat, which can be a blanket or play mat. 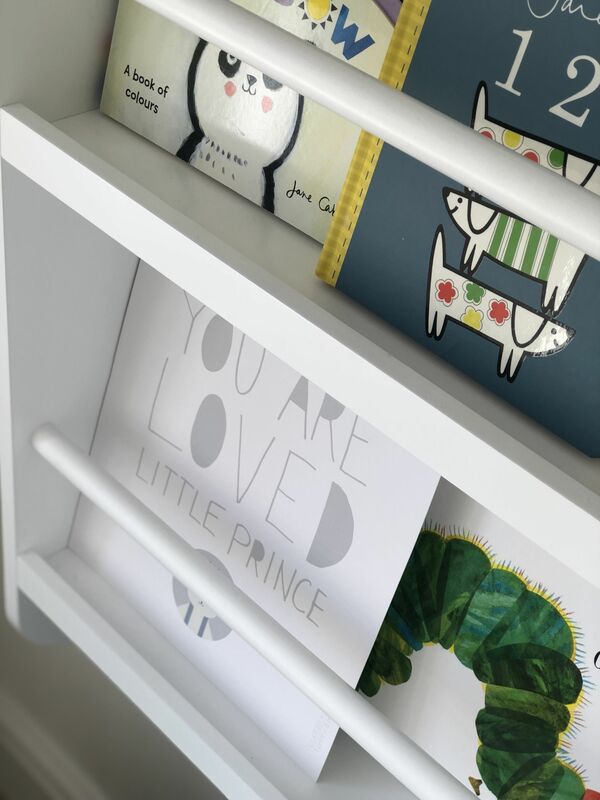 Cam Cam is a scandi brand and I absolutely love their stuff. The quality is amazing, and well worth spending a little bit extra. 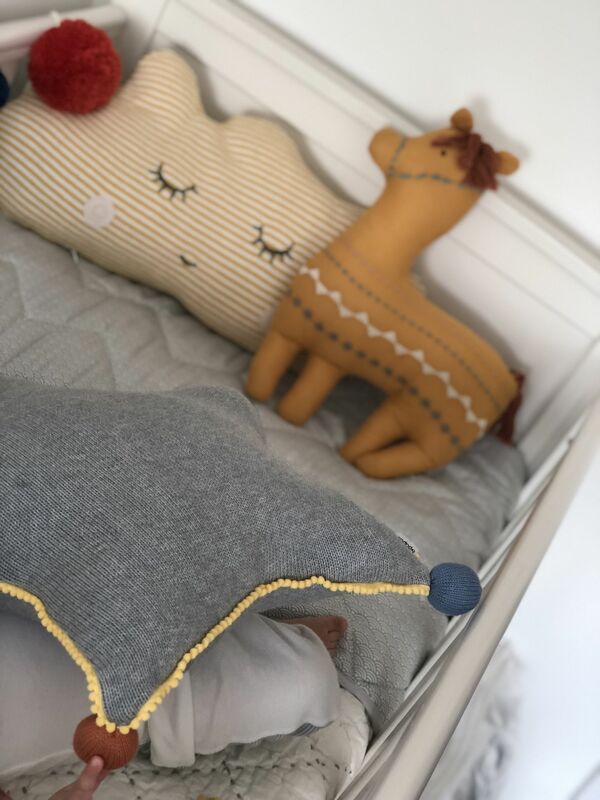 I adore all of these cushions, but my favourite is Mr Lama! 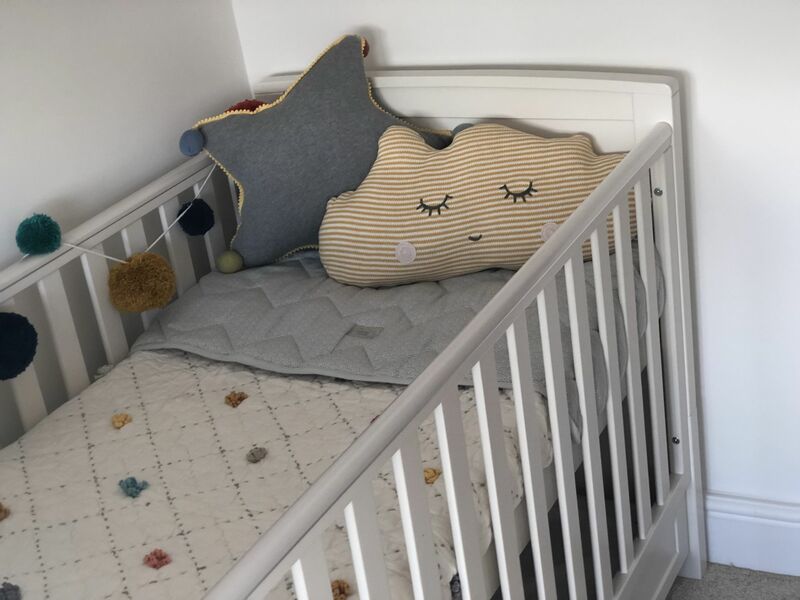 Cushions are a great way to add a bit of personality and brighten up, what could be otherwise a pretty stark, plain and boring cot. 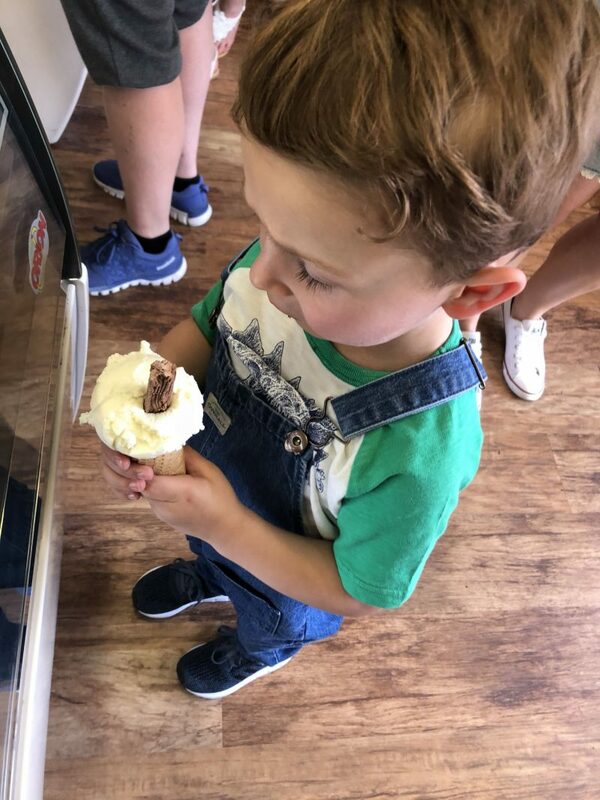 Wilf certainly had lots of fun trying to eat them all! 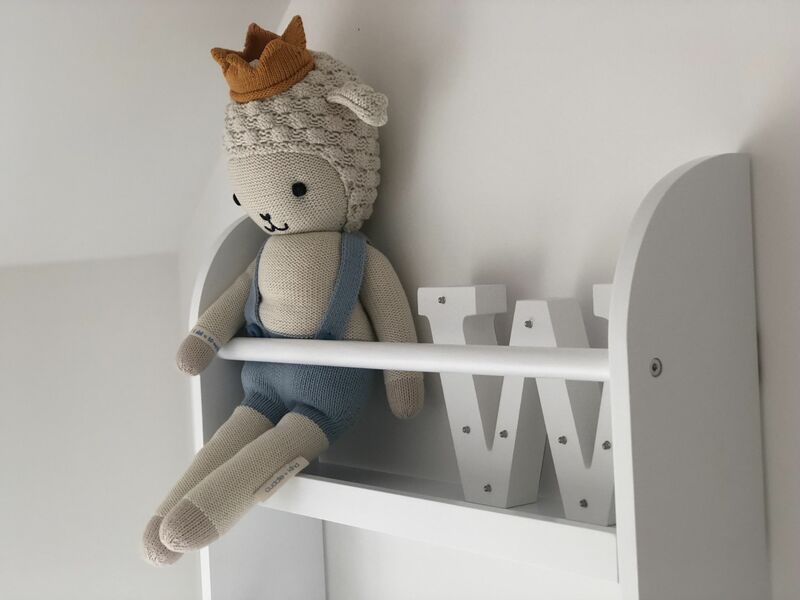 I am a complete sucker for cuddly toys, so Wilfs room inevitably will have lots of cuddly toys, so I wanted to be able to put them up somewhere to enjoy. 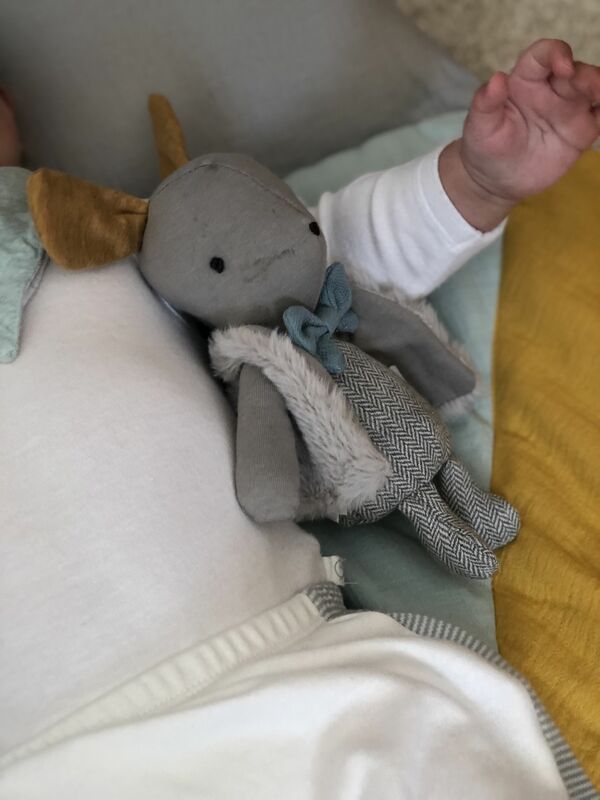 In particular Sebastian the Lamb from Cuddle and Kind. They sell unique cute hand knitted dolls, and each doll that’s sold feeds 10 children. So on that basis I might have to buy the entire collection! These Mamas and Papas mobile birds are a bit nostalgic for me. 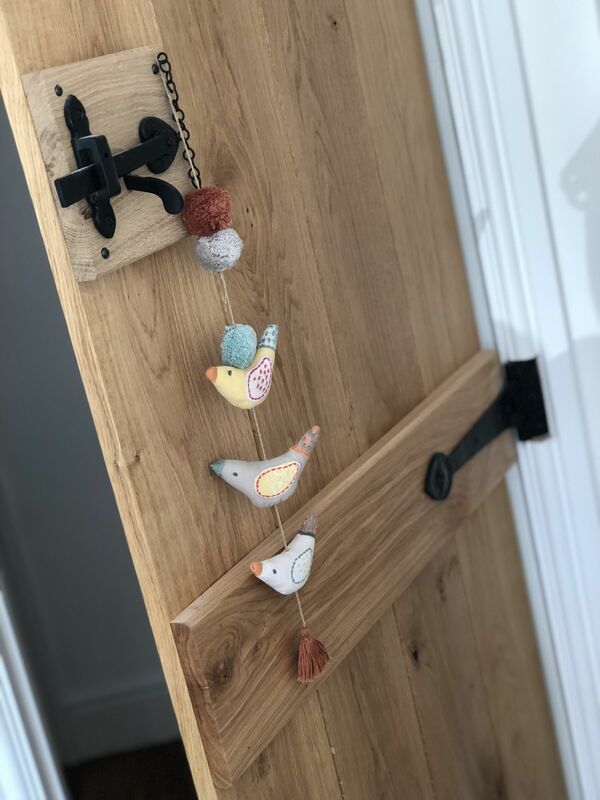 My parents have some hanging birds similar to these (but probably antiques now) as I remember them when I was a child, and their still hanging up in their kitchen. I saw these and had to have them. Because everything has just been decorated Luke wasn’t keen about hanging things from the ceiling or walls, so for now they are going to live here on the door, but to be honest I think they look quite at home here. 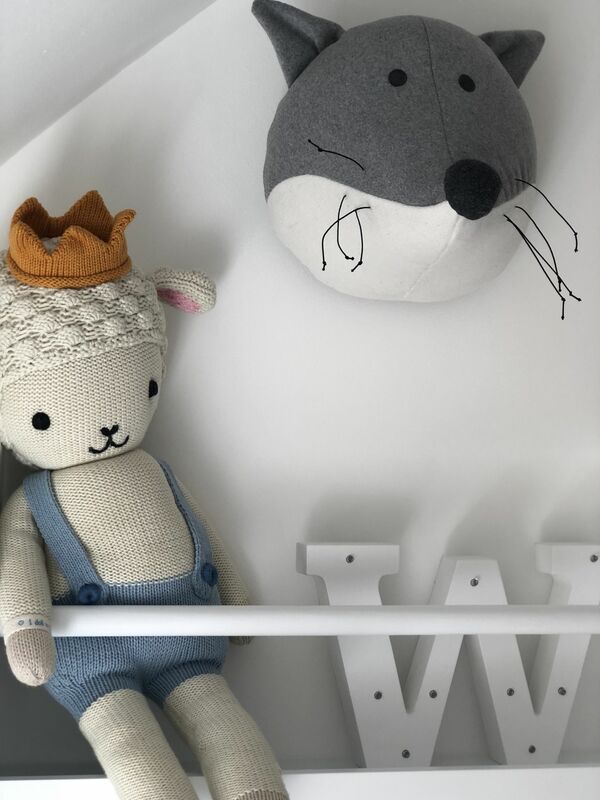 The animal heads add a bit of fun to the nursery, and to be honest I was pleased to put something up on the walls. 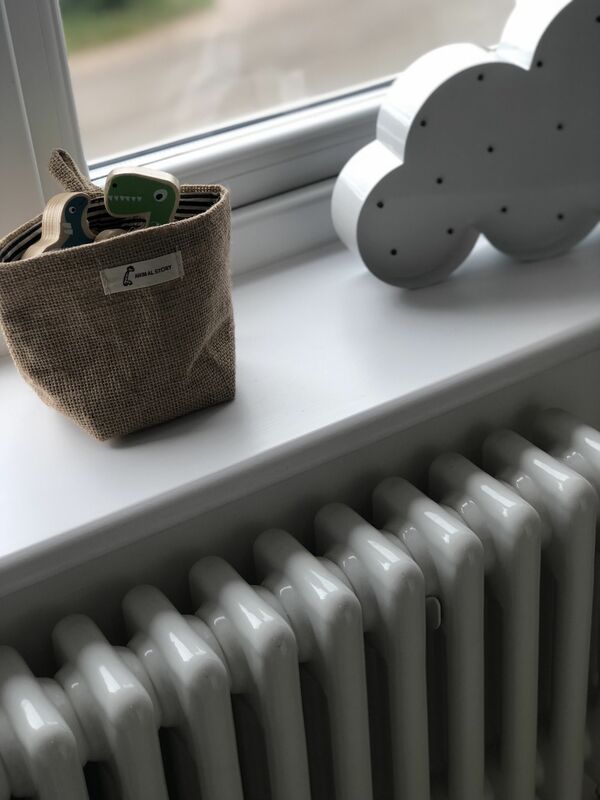 Every room in the house is painted white at the moment t and although it looks really clean, it can feel a bit bland, and for me these are a great way to brighten up the room. The Fox is from Mamas and Papas and the rabbit is from ReRoom. Lewis, the hare is a lot larger and I think it’s Wilfs favourite as every time he looks at it he has a fit of giggles. 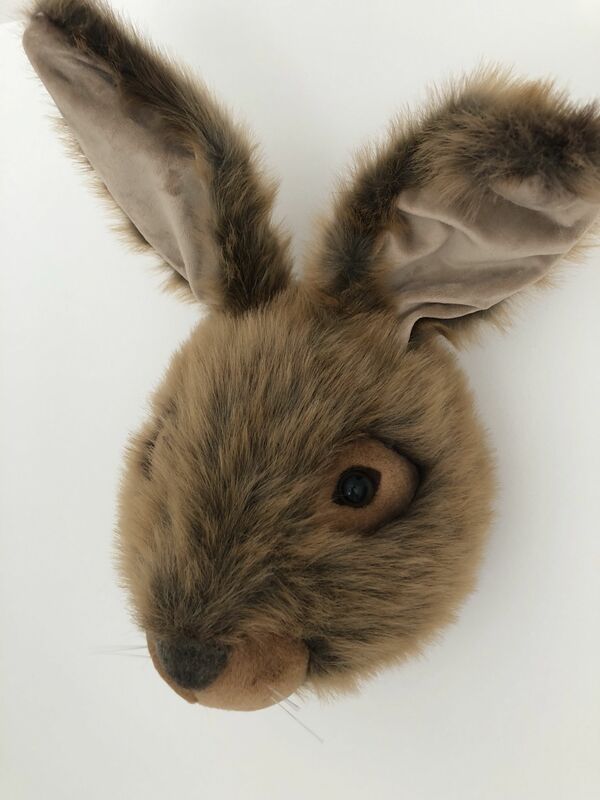 Its pretty realistic and even the ears bend (they have wire inside them) so you can change the rabbits expressions with the ears up or down. 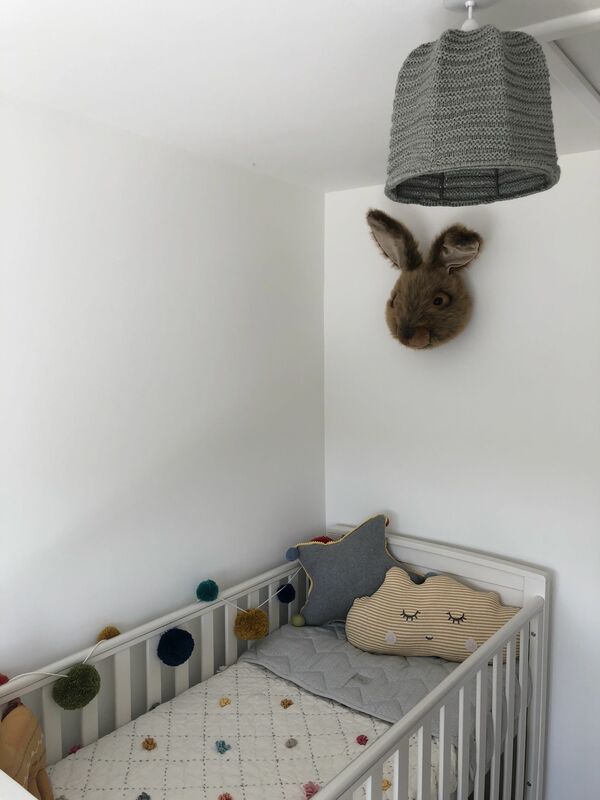 This rabbit head is part of a Hedgehugs Nursery with woodland themed furniture and accessories that ReRoom provide as a complete room. Alternatively you can pick and choose from their complete collection. 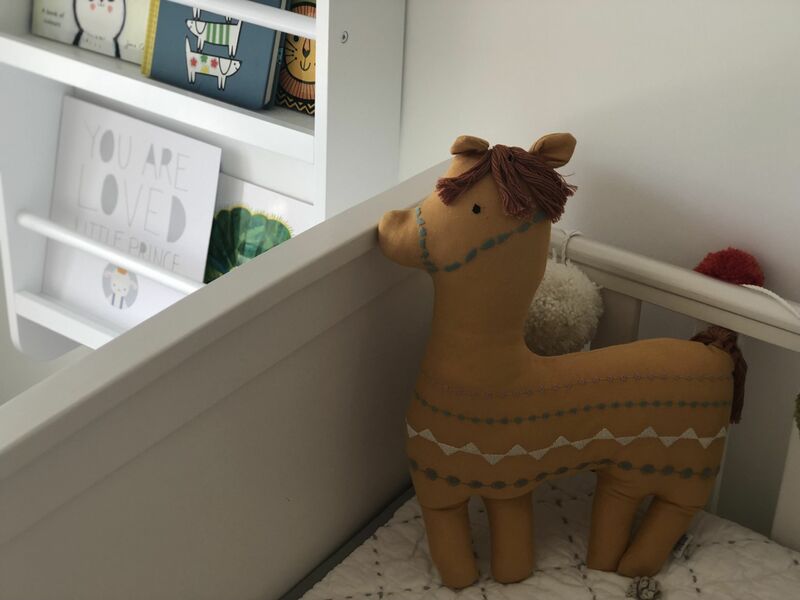 Their concept is really clever, and if designing a nursery fills you with dread, they can do it all for you. 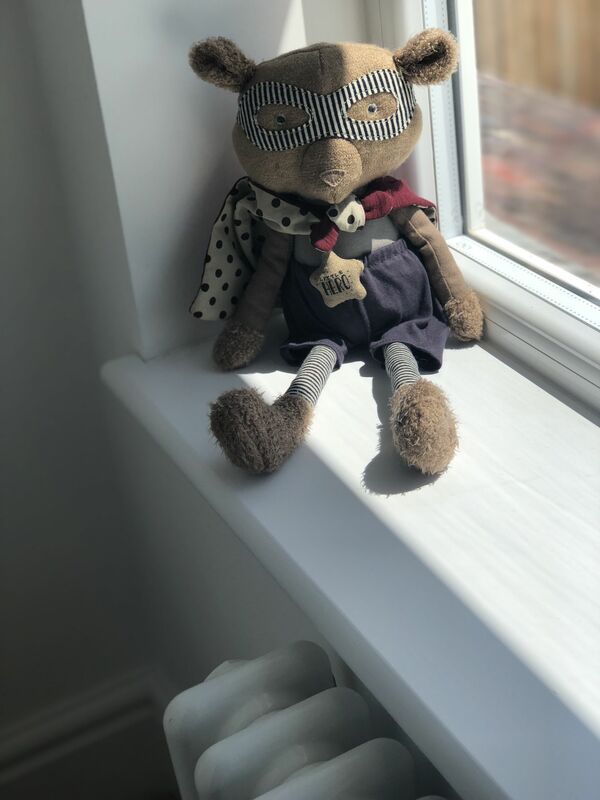 They kindly gifted this rabbit head, which I thought would go really well with what I had planned for Wilfs room, and the fox (even though it’s smaller) still goes. So it shows you don’t always have to opt for the matchy, matchy sets. These shelves are from the Great Little Trading Company. 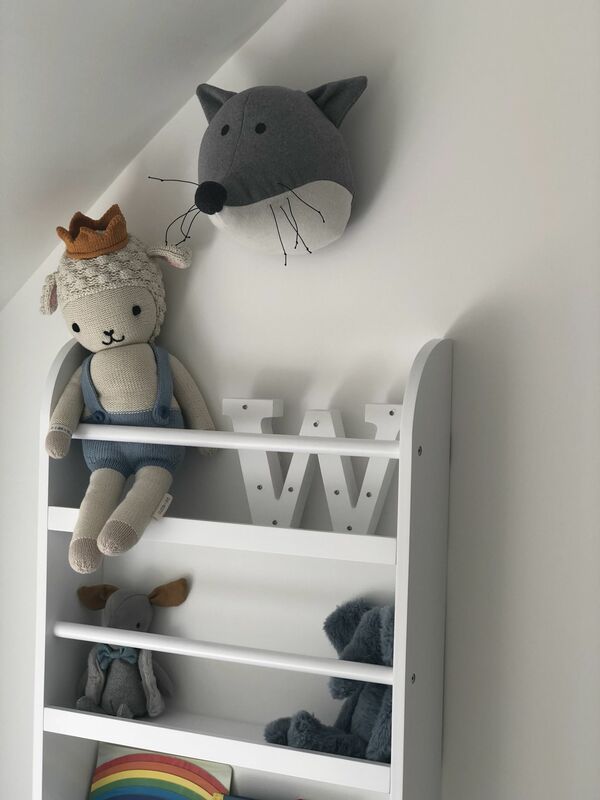 They come in two different widths, and I chose the narrow ones for Wilfs room, but I also bought them for Arthur’s room. 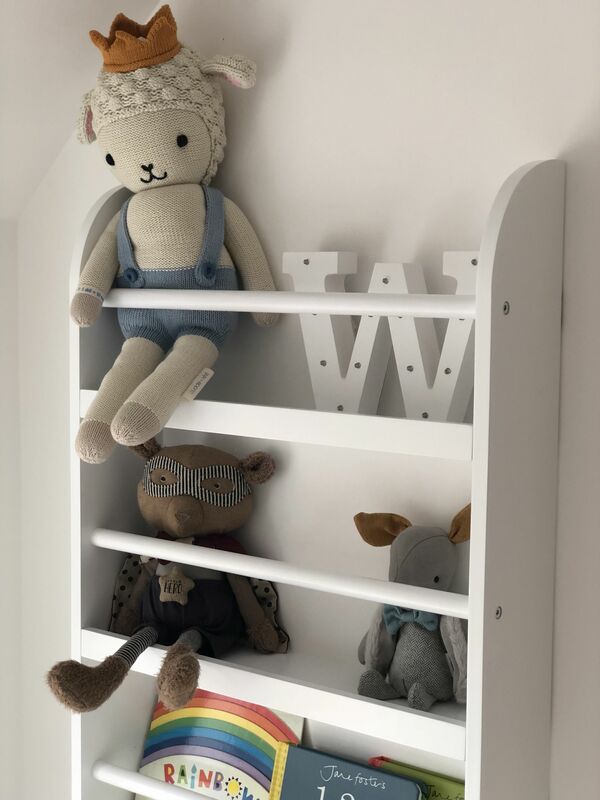 Not only do they look good, they’ll be useful, not just for books but for cuddly toys too. I’m really keen for both boys to read lots of books, so having somewhere to showcase their books is really important to me. I plan to rotate their books, and keep refreshing the shelves too. 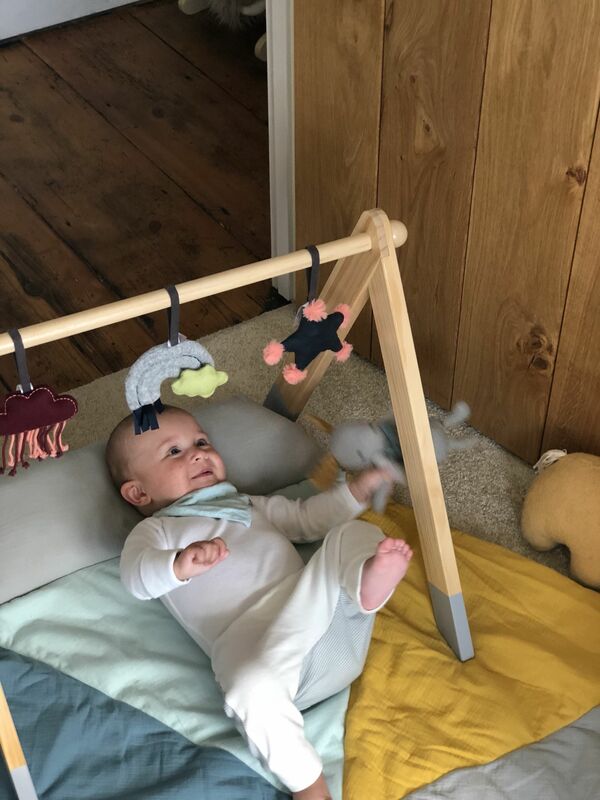 I would also like to add a little chair or a bean bag cushion in this corner for Wilf for when he’s a bit older and can sit and enjoy looking through his books or somewhere for mummy and daddy to sit and read to him. Arthur’s always been a real bookworm, so I’m hoping Wilf will be the same. 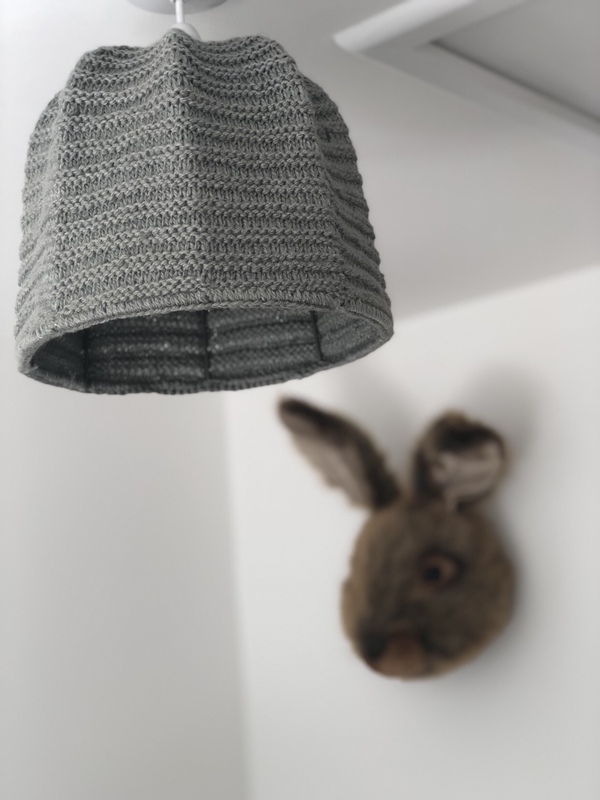 The grey knitted lampshade is from Mamas and Papas, and is a great neutral colour that will go with anything. 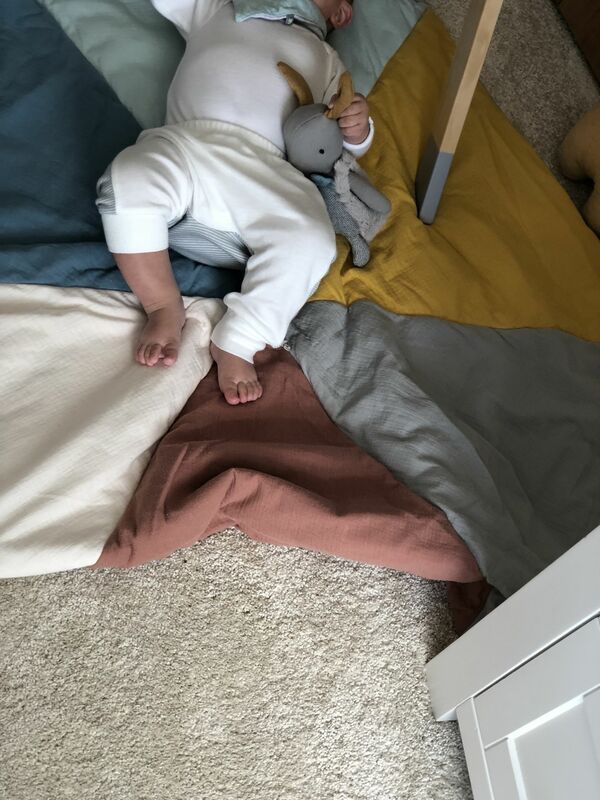 This origami play mat from Mamas and Papas, (now sold out), is great and I love the colours, it stores really easily as it folds up quite small. 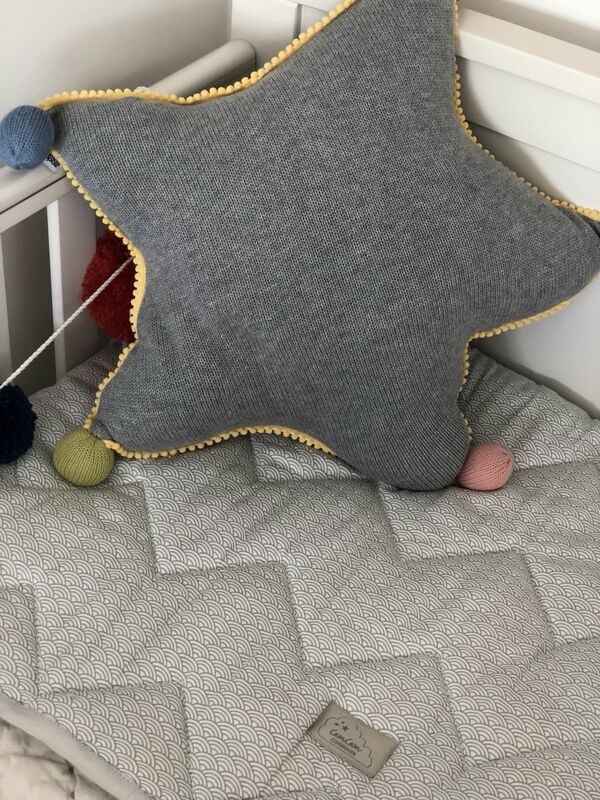 It also has a cushion on one side so he can lie on it or use it for tummy time. 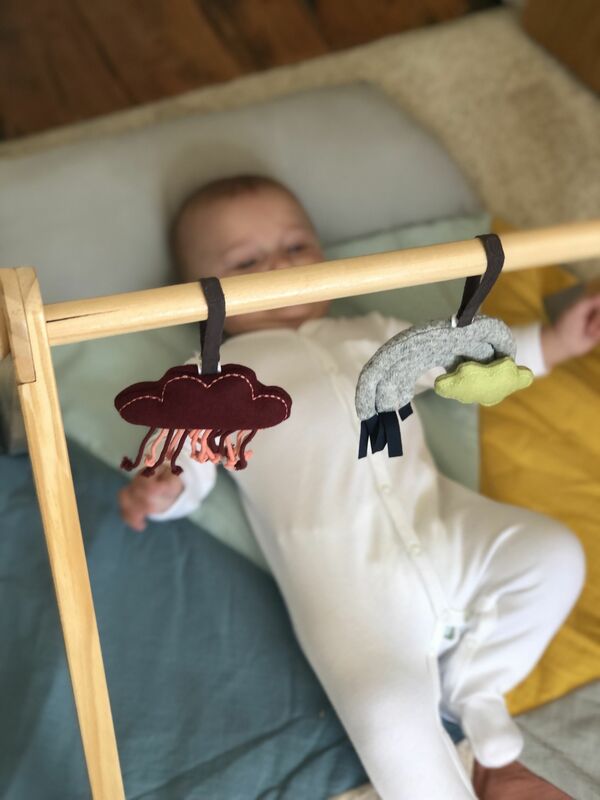 It works well with this Mamas and Papas wooden play arch, the hanging toys are velcro so can easily be removed and you can add other toys too. Its taller than most wooden arches I’ve seen before, so I think it’ll last Wilf quite a while, it also looks good! Which helps! 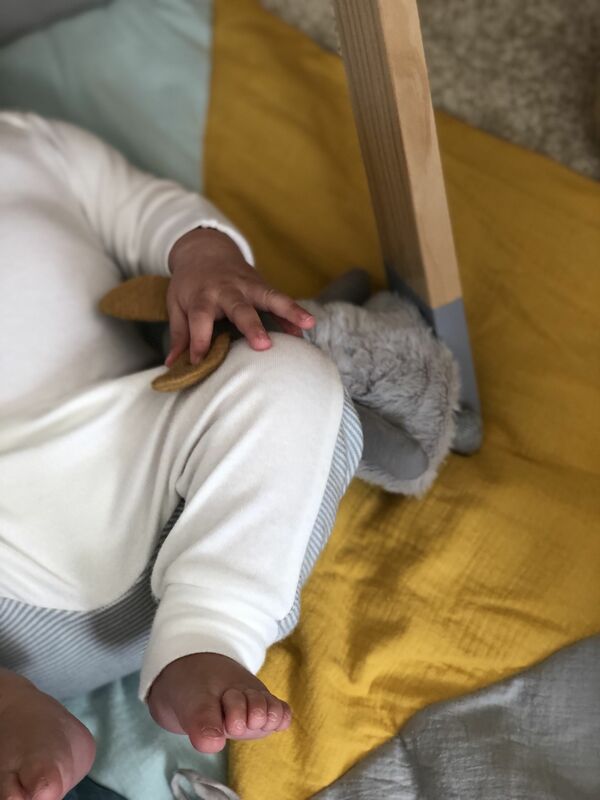 I do prefer wooden toys over plastic, but I know they don’t always stay looking as good for that long, from little teethers, and just getting bashed about. 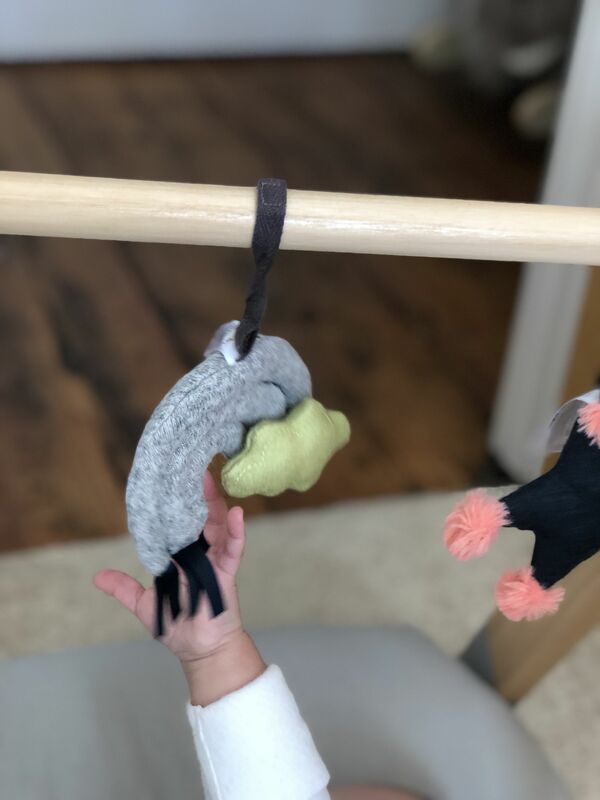 Wilf loves this little chime toy – fawn from Mamas and Papas and it has an actual removable fur gilet! How adorable! 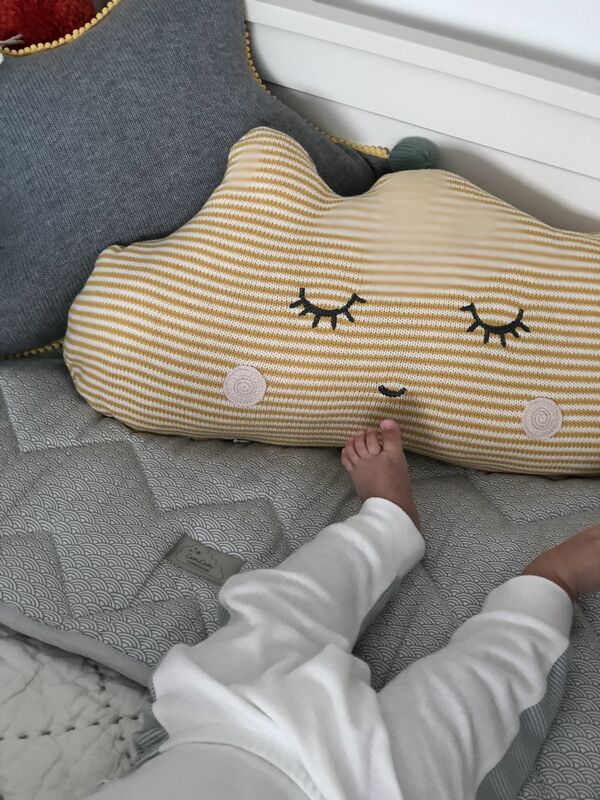 Mamas and Papas Changing Mat, sold out but available here on Amazon. 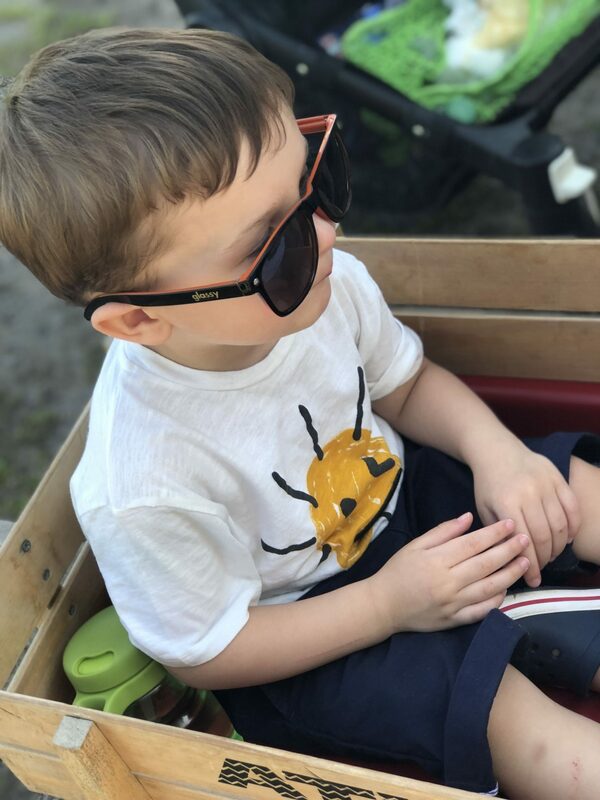 *This post is a collaboration with Mamas and Papas and Reroom and all items listed have been gifted, but chosen by me.